India is the second most populous democratic country in the world and is well known for its commercial and aesthetic wealth. It is newly industrialized country and holds diverse culture, languages and traditions. With its rich history, geographical diversity and magnificent beauty it attracts many international tourists towards it. Incredible India holds everything to provide convenience and comfort to all its guests and travelers. It is one of the luxurious hotels that offer royalty to the guests with best features. It offers 202 rooms that are elegantly decorated with beautiful art gallery. It also offers excellent view of Arabian Sea from all its rooms. It also offers conference halls for the business people, wedding venues and meeting halls. It also include swimming pool, fitness facilities like health club, gym and many more excellent features along with a Aer Bar on the top floor which is recorded as the country’s top floor bar. It is one of the royal hotels of Leela Palace Kempinshi group and is found to be one of the royal hotels in the city. It features world class facilities and offers more than 250 luxurious rooms under categories like Royal Premier Room, Grand deluxe Room, Premier Room and Grand Premier Room. Suites include Maharaja suite, Grand suite with pool, Luxury suite and Executive suite with excellent art work, hand-crafted tapestries and rich wooden floor. It is best recommended for the travelers, couples, professionals and corporate sector travelers. It is one of the royal hotels that offer 60 beautifully refurbished luxurious guest rooms and suits. It is beautifully built and designed with large Venetian chandeliers, rare furniture, grand marble staircases, statues and gurgling fountains and also includes a finest collection of crystals. The palace is a blend of Italian and Tudor architecture which was former residence of Nizam of Hyderabad and later it was given to Taj Group Hotels Resorts and Palaces under lease. It is one of the Asia’s oldest and finest luxurious Hotels built in the City that offers excellent facilities to the guests. It is well known for its colonial style with high ceilings, marble floors and modern amenities the hotel stands as a unique place that offers delightful experience and comfort to the guests. It includes 233 rooms including 43 suits which offer privacy for the guests. It also holds a museum and art gallery inside the hotel that had a huge collection of colonial and post-colonial art and artifacts. It is one of the royal hotels located in Banglore with world class features. It is wide spread across 9 acres of ornate gardens and cascading waterfalls. It offers excellent facilities for the guests as well as for business people. 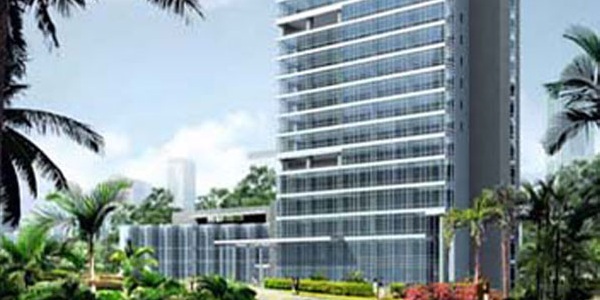 It even offers special business facilities like conference halls, meeting halls along with excellent dining facility. The hotel is full of grand arches and gold leaf domes that offer royalty to the palace which is inspired by the architectural glory of Mysore. It stands as best venue to host weddings. It is one of the leading resorts in the world with world class facilities. It is located 600 meters away from Taj mahal and offers excellent view of beautiful Taj Mahal from every room, suites, lobby, bar and even from lounge. It was built with stylish Mughal architechture and includes splendid display off terraced lawns, fountains, reflection pools and pavilions with rich interiors. The room itself is decorated in rich shades of purple, oranges and yellows and the marble bathroom features regal. It is located in the Commercial capital city of India and is found to be one of the oldest and luxurious hotel in the City which was built 21 years before the gateway of India and offers excellent view during nights with the moon light and the ocean. It also provide excellent residence to the tourists and guests with luxurious rooms along with spa facility, bars, fitness clubs, swimming pool, night clubs, restaurant and café and many more. It is one of the most preferred hotels for the travelers who visit Mumbai. 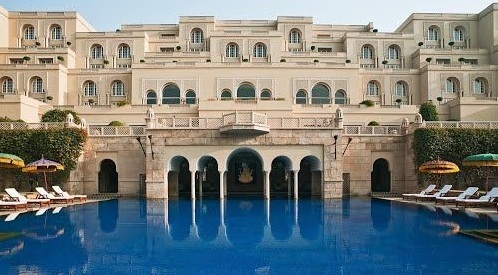 It is one of the most luxurious hotels which is located in historical land of Udaipur Rajasthan. It offers royal and traditional beauty with forts, palaces and monuments in it along with its architecture and luxurious rooms. It offers amazing experience with all its features and room facilities along with best view of rippling fountains and transparent pools located in the hotel. It offers luxurious rooms and even offers boat riding facility and outdoor activities too. It is the top rated luxurious hotel and also voted as the most romantic hotel in India. It also received many prestigious awards for its natural beauty and incredible architecture. It is found to be the most expensive hotel in India which costs Rs 36,000 for a basic luxury bedroom which is actually nothing when compared to the Grand Presidential suite which costs Rs 6 Lakhs. It is located in the middle of Lake Pichola and the interior decoration of the hotel is amazing which include Bohemian crystals, ornate glass work, green lotus leaves and cusped arches overlooking medieval gardens and hilltop fortresses that makes outstanding than none another. It is ranked the third best hotel in Asia and eighth best hotel in the world. It offers wide category of rooms ranging from luxury rooms and tents to villas. All rooms hold 4 poster beds and teak holds with excellent interior architecture along with exterior old Rajasthan fort style. It also offers best features and services for the guests and even offers good facility for the business and corporate meetings. It offers beautiful experience with royal villas, renowed rooms, private pools and lake views.